Electric scooters such as Xiaomi Ninebot are innovative eco-friendly vehicles that allows for some easy commuting around the city. But what if we were to go step further, and combine the convenience of electric motor and a smart features with a traditional muscle-powered bicycle? The result would be an interesting hybrid – the Xiaomi Qicycle – which is an electric bike with Shimano derailleurs and a Panasonic battery. See our review and read more about this unusal vehicle. Panasonic 18650 battery – the same is used in Tesla cars! The brushless 250 W motor is exactly the same as the one used in Xiaomi scooters and it also suits Qicycle perfectly. It provides strong acceleration and powerful torque, allowing up to 25 km/h max speed. To start the ride, just get on the bike, start pedaling and the engine will power on by itself, depending on currently chosen assistance mode. Panasonic 18650 batteries have a capacity of 5.8 Ah/36V and they are the same as the one used in Tesla electric cars. We can assume that they’ll perform well for a long time and the capacity shouldn’t degrade much from chemical deterioration of lithium-ion cells even after lots of charging cycles. A fully charged battery should allow driving about 30 km with electrical assistance – depending on the weight of the rider and the route. There are total four driving modes available: Turbo – bicycle powered only by the electric drive; Balanced – equal energy ratio from pedaling and engine; Economy – an energy saving mode, motor provides only a fraction of power needed to ride; Fitness – the electric motor is completely turned off. Driving with electric assistance feels really nice and enjoyable. The TMM4 pressure sensor reacts dynamically to pedaling and properly doses power. Traveling with this electric support is super smooth and even riding steep uphill feels like a piece of cake. And if you plan to use “Fitness mode” (non-powered) most of the time and ride it just like a normal bike, you will be satisfied with the excellent Shimano Nexus derailleurs with 3 gears and well-functioning front and rear brakes. The battery is hidden in the main frame, central part of Qicycle, and it’s the heaviest part of the vehicle. Apart from heavy battery, this vehicle is made of light aluminum airplane-grade alloy. The total weight is 14.5 kilograms, which corresponds to the average weight of a slightly bigger bicycle. When it comes to size, Qicycle is certainly a bit on the smaller side, which might be good or bad, depending what’s important to you. Because it’s small, it takes up very little space, especially because you can easily fold it in 30 seconds, so you can fit it on cramped spaces. On the other hand, 16-inch wheels and a low profile might be slightly uncomfortable for tall cyclists who prefer larger sports bikes. The frame, however, is very solid and, according to the manufacturer’s assurances, it’s able to bear up to 120 kg, especially since the suspension reacts smoothly to terrain obstacles. Noteworthy is also strong LED lighting, located on the front (yellow light) and at the back (red light). It’s extremely intense and has a throw range of up to several dozen meters, so you will certainly be visible on the road on your nighttime rides. The motor is hidden in the front wheel, and the rear wheel contain derailleurs. Currently QiCycle is available only in black, with steel-gray rims. The electronics are protected against rain, so you don’t have to worry that your battery will ignite due to a short circuit at the first drizzle. However a design oversight is certainly lack of the mudguards – so be careful when driving during rain. The on-board computer in this e-bike has a wide range of measurement capabilities and is a very useful add-on. You can see the speed of driving, distance traveled today, battery level, and if you set your body weight in the app – calories burned in the real time. Qicycle also saves historical data (up to the last 30 days), and all results can be sent to Xiaomi cloud where they’ll be stored permanently. Lights are also activated in the computer’s UI. The app works on both Android and iOS phones and can connect the smartphone to the bike via Bluetooth. Additionaly, if you have technical problems, you can run a diagnostic test that will show you whether the battery, engine or electronics work properly. Unfortunately, the interface is currently available only in Chinese, but it has large and legible icons so you should easily understand what it is trying to tell you. Moreover, there might be possible update with the English language that should be released soon. 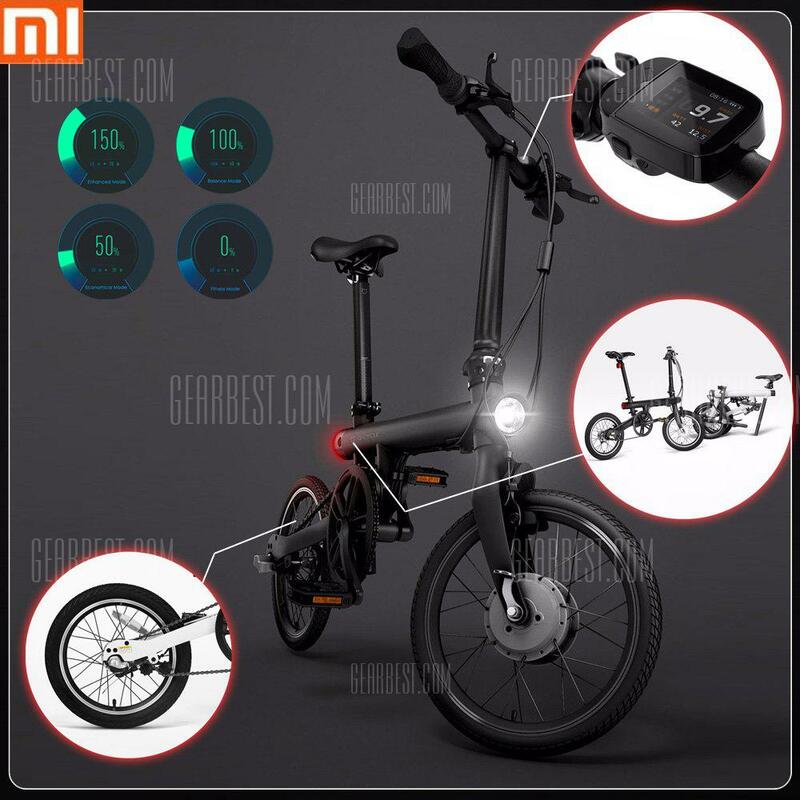 With a strikingly low price tag for its capabilities and excellent components, there is no doubt Qicycle will be a huge hit, and can reach Xiaomi M365 scooter popularity. 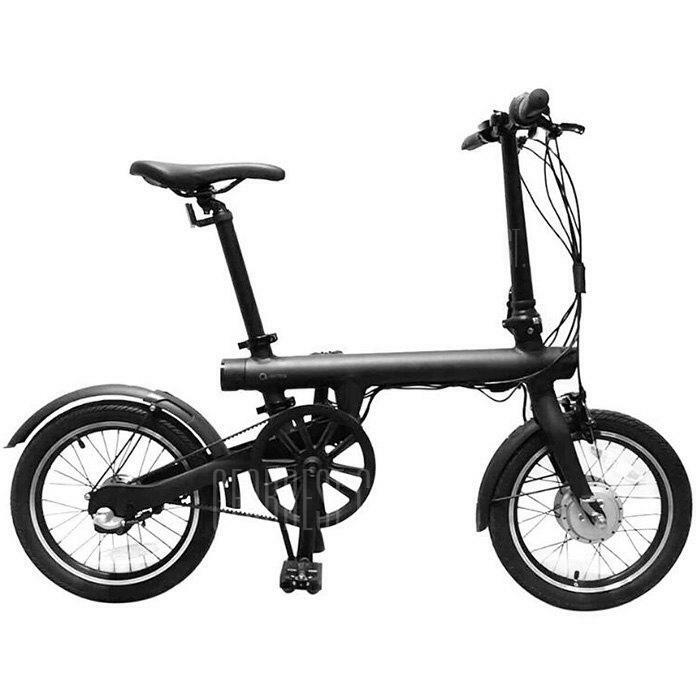 We can recommend it especially to bike commuters who don’t want to tire every day on longer routes, choosing the pleasure of easy riding with electrical motor support. 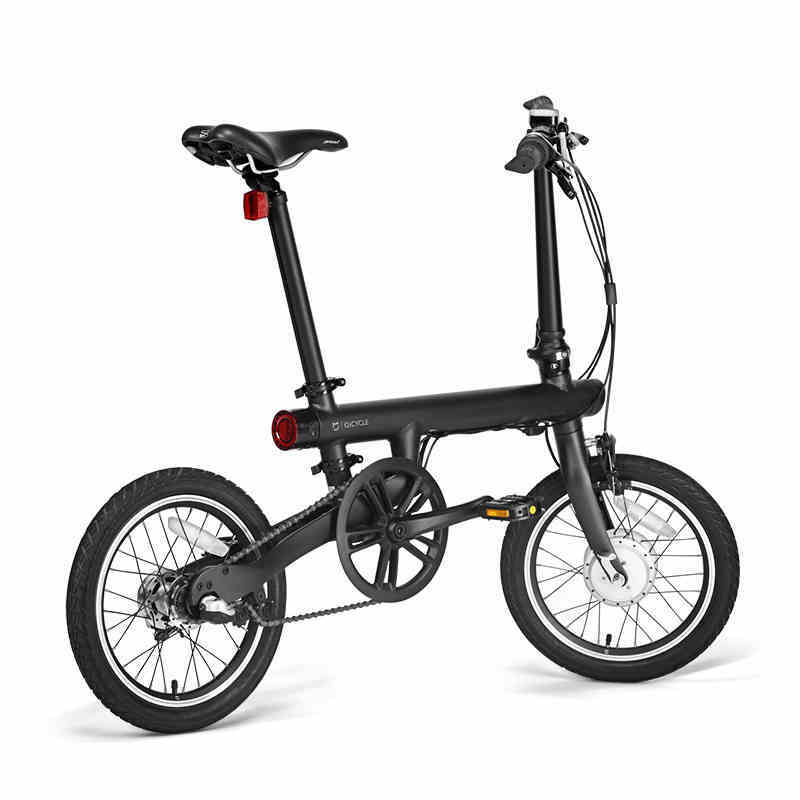 Good performance on the roads, Shimano derailleurs, Panasonic battery, brushless motor and an on-board computer with smart features – that should convince you that the Xiaomi Qicycle is the best electric bike you can buy today.